This skirt would be perfect for a garden party or summer wedding! I don’t own a ton of floral patterned pieces, but I loved the bright colors of this one and the asymmetrical cut giving it that flowy, fluttery movement! I hope you all have a wonderful weekend! Thanks so much for stopping by! Beautiful Summer florals look! ?♥️? Love this asymmetrical hemline, and the white heels! This outfit is so perfect for spring with the long sleeves !! This Outfit is so pretty, especially the skirt! I love the style and print!?? The skirt is beautiful and looks perfect with a long sleeved top. I love the asymmetric design. 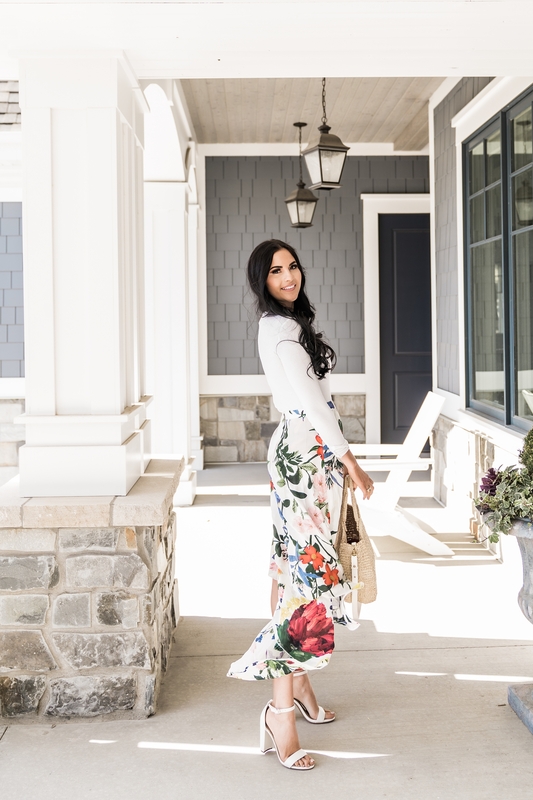 This skirt is beautiful but the porch us even prettier! This skirt is beautiful! Love the asYmMetrical hem and the colors are nice and vibrant! That skirt is amazing! I need it in my life!